Without warning, developer CoolStar has relatively silently updated Substitute to version 0.0.6. The update comes approximately five weeks after Substitute’s version 0.0.5 update but unfortunately doesn’t come with any detailed patch notes or changelog to inform exactly what has changed. It’s evident that CoolStar has put a lot of work into Comex’s Substitute behind the scenes. After originally introducing the Electra jailbreak for iOS 11 through iOS 11.1.2 devices, CoolStar then announced that a future release of Electra would ship with Cydia and Substitute. Under normal circumstances, Saurik’s Cydia Substrate would exist instead of Substitute but since Substrate is closed source and Saurik still hasn’t updated it for iOS 11, CoolStar took the open source alternative framework built by Comex and got it to a position where it could support his jailbreak and work alongside Cydia Installer to install additional tweaks and packages. Version 0.0.5 was pushed out into the community in early March to try and rectify a number of performance issues which were being reported by jailbroken device owners. In addition to bringing performance and stability gains, it’s also likely that Substitute 0.0.6 has set the groundwork for CoolStar’s introduction of Electra jailbreak version 1.1, which was teased earlier this month with the promise of allowing “binaries without platform-application entitlement to launch properly” as well as confirming that previous issues with 64-bit binaries should be rectified and no longer present on devices which are jailbroken with Electra 1.1. At the time of writing there has been no official date set for the release of Electra 1.1 but it would seem that the release of Substitute 0.0.6 could be the catalyst for that release. 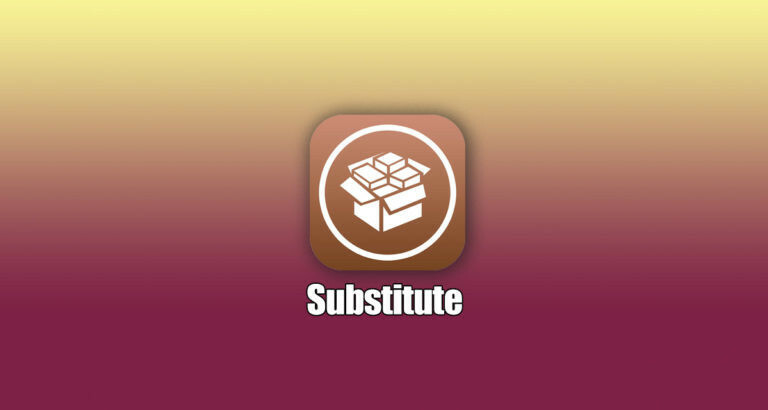 If you are jailbroken using the Electra jailbreak, and you have been experiencing some historical performance or freezing issues, then it could definitely be worth heading over to Cydia right now and grabbing the latest Substitute 0.0.6 update. Even if it is the stepping-stone to an Electra 1.1 release, it should definitely offer benefits and enhancements right now.